An attractive, maintenance free bench that adds seating to any area. Add an upscale look to any setting with our Iron Valley strap steel amenities. 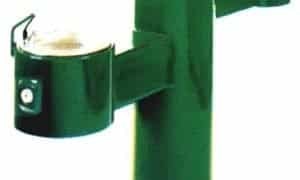 Add style and color to your landscape with our curved rod plastisol coated park bench. Well suited for outdoor settings. Choose the color that best fits your needs. Personalize your school or business or use as a memorial bench. Add style and color to your landscape with our classic supreme flat plastisol coated park bench. Our classic supreme bench with back offers long-lasting and durable seating. 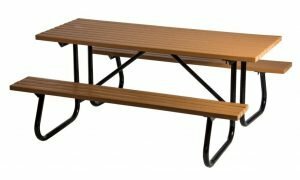 These durable, and long-lasting aluminum benches with back are a great option for locker rooms or along the sidelines. Choose Windsor Select for indoor or outdoor beautification and revitalization. 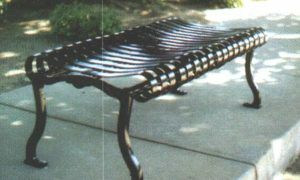 Our most popular recycled plastic bench for parks, trails or memorials. 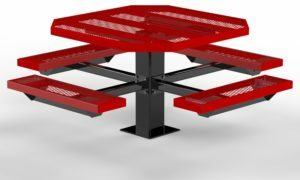 Coordinate with our other recycled plastic site amenities for a complete look. A durable backless concrete bench that can be used for any facility. This classic looking bench can fit into any design scape. Maintenance free and long lasting, this bench will look fantastic for several years. With a variety of color and texture combinations, choose the ones right for your seating area. This classic looking backless concrete bench is ideal for any outdoor project. CPB Series: Concrete Park Benches are the most popular because they are a style suitable for almost any décor – and reasonably priced! This standard contour bench is designed for indoor or outdoor use and adds a sleek look to your landscape. This standard flat bench is designed for indoor or outdoor use.